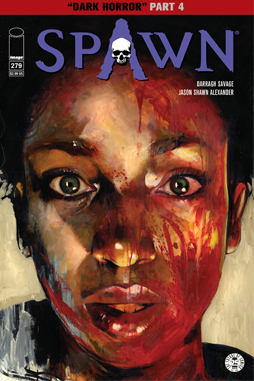 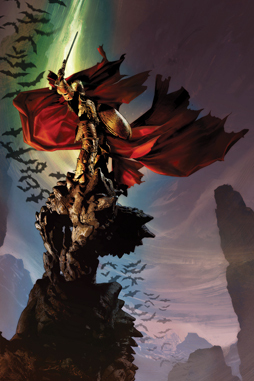 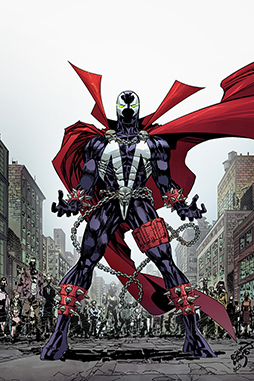 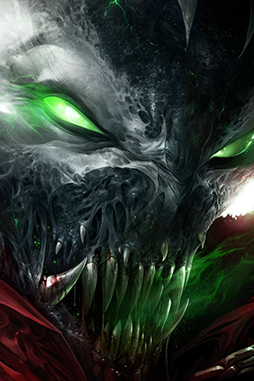 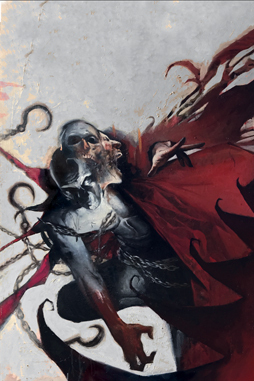 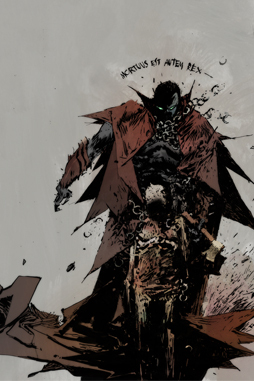 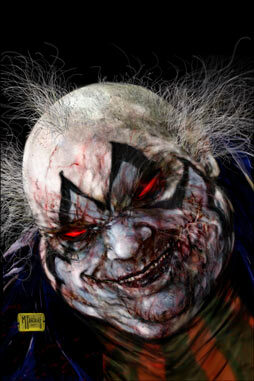 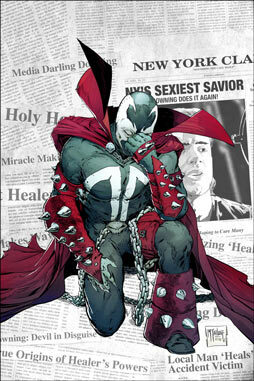 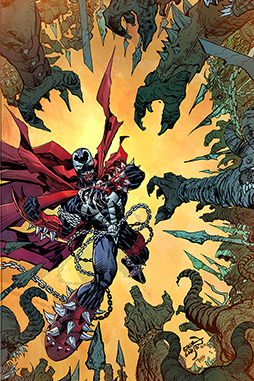 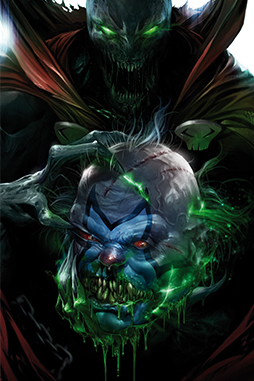 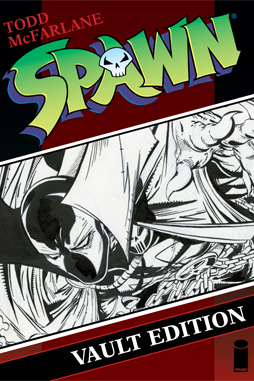 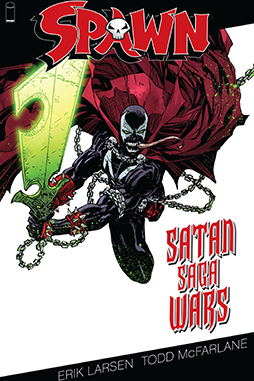 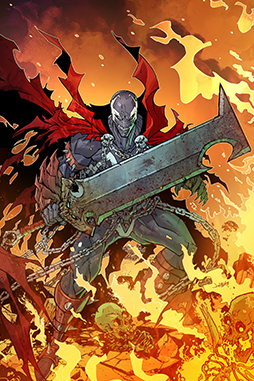 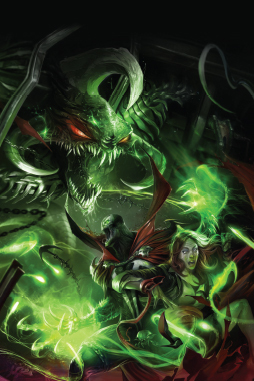 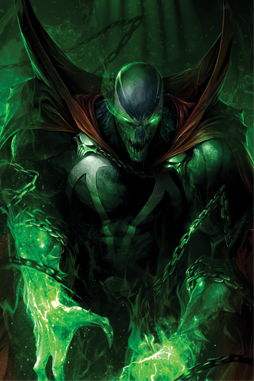 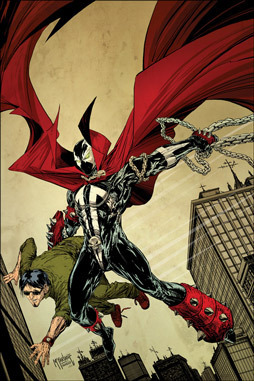 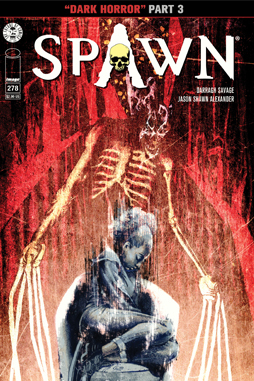 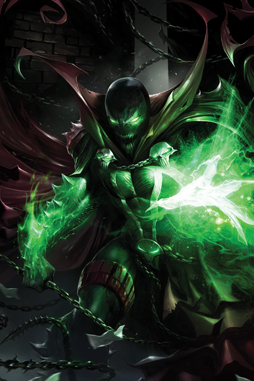 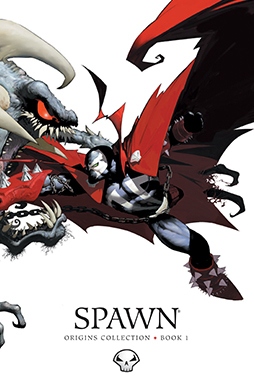 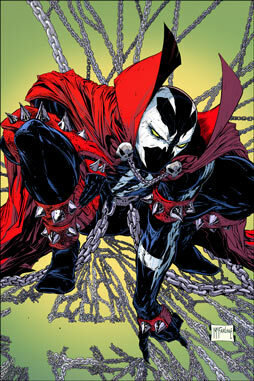 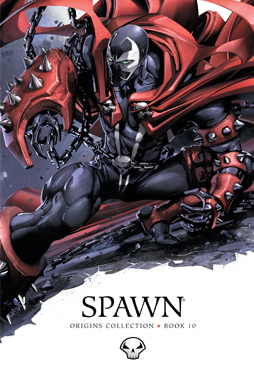 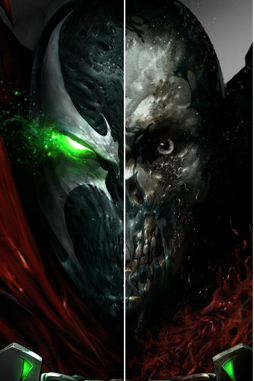 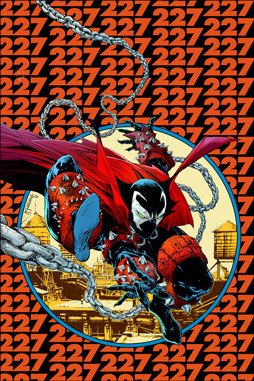 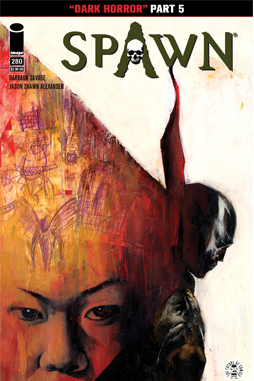 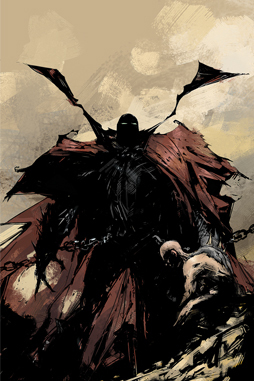 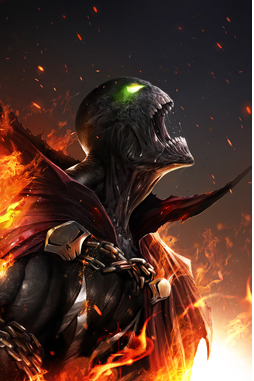 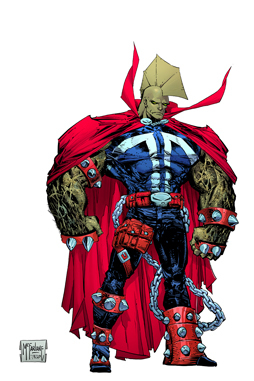 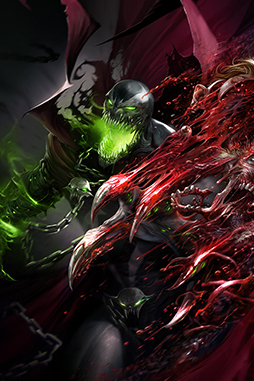 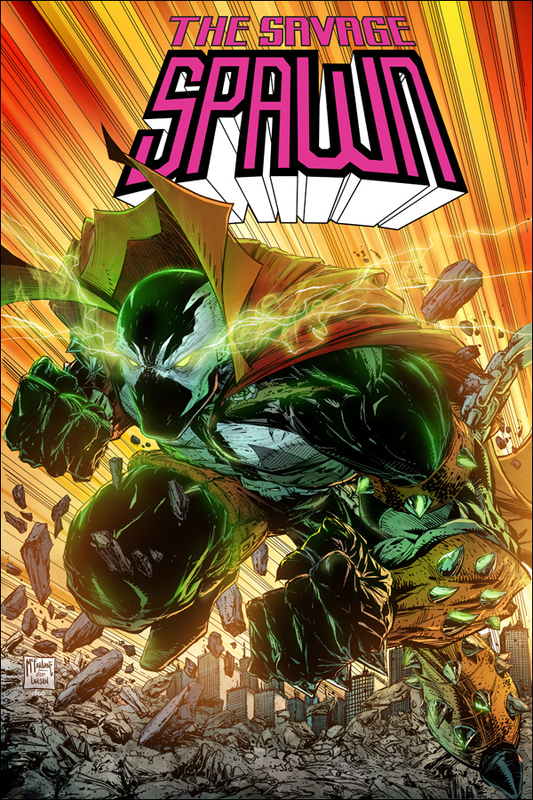 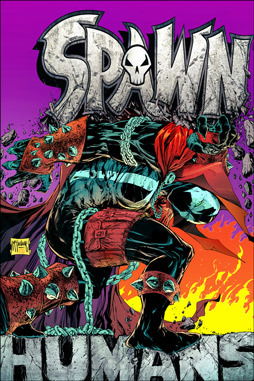 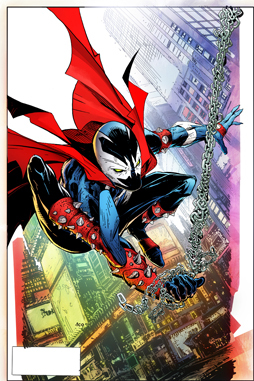 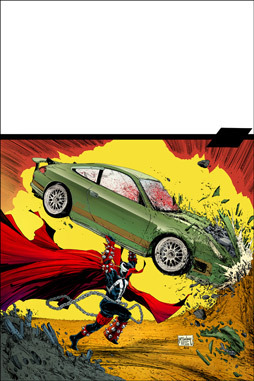 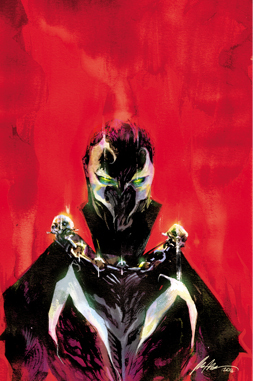 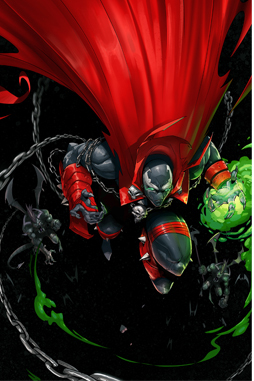 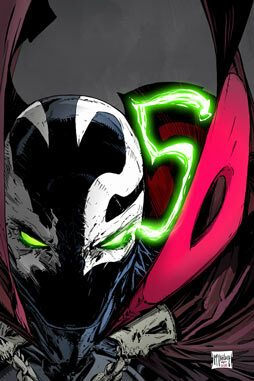 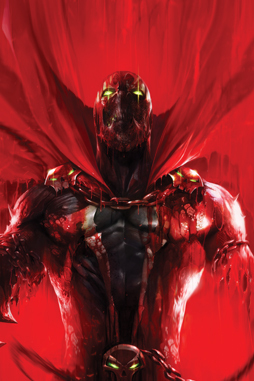 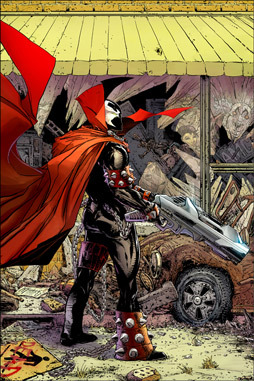 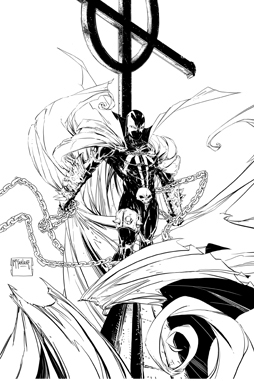 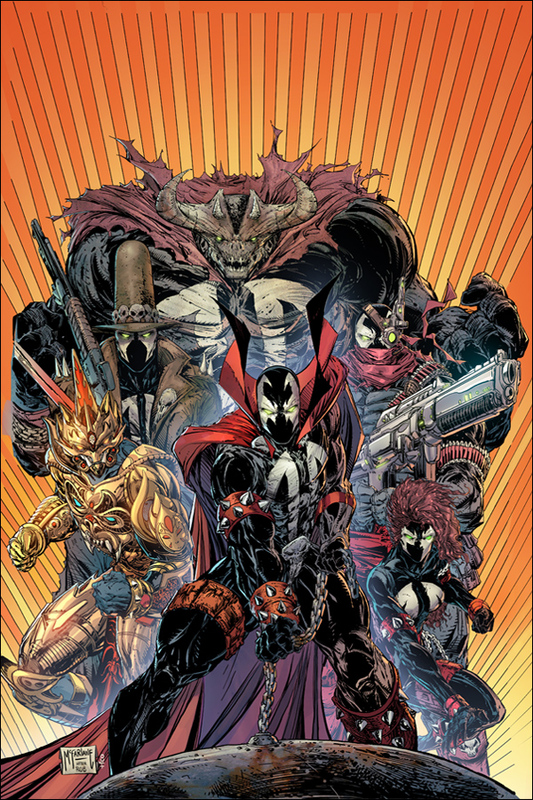 Celebrate SPAWN’s 20th Anniversary with this special landmark release. 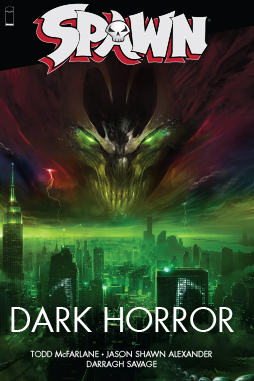 Jim Downing has long been a man lost — confused by his missing past, hounded at every turn and manipulated by forces beyond his control. 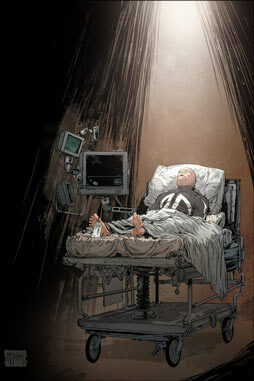 No longer. 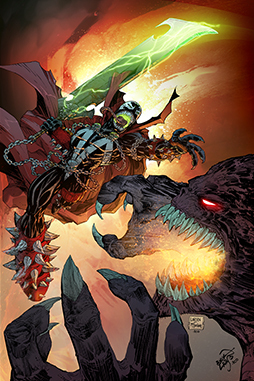 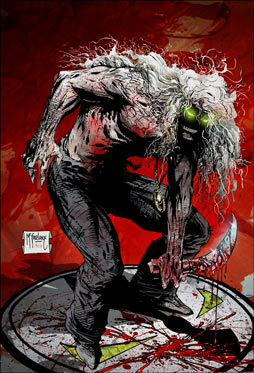 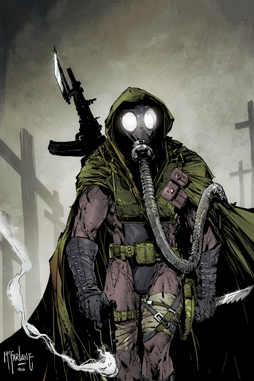 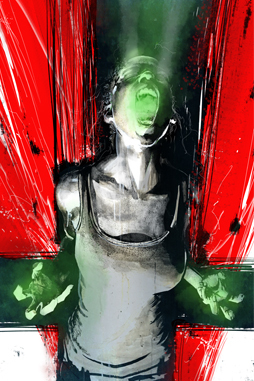 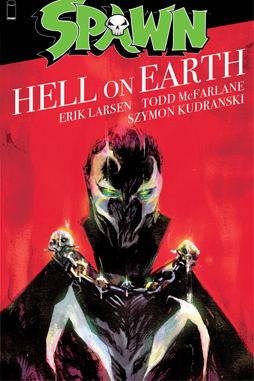 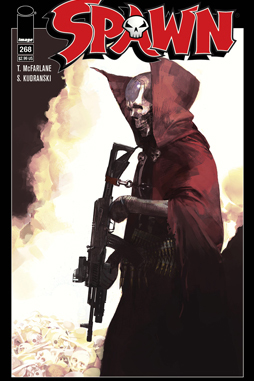 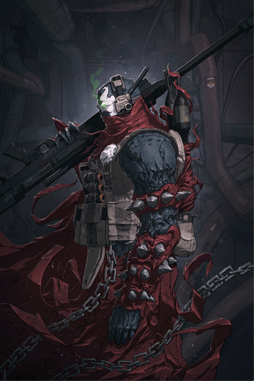 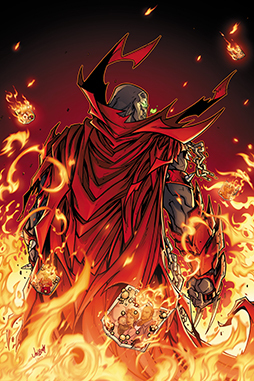 With his past finally coming into focus and a full understanding of the man he once was just out of reach, Jim embraces the full might of his horrific hell-born powers to piece together a mystery that has ties to the very core of the SPAWN universe. 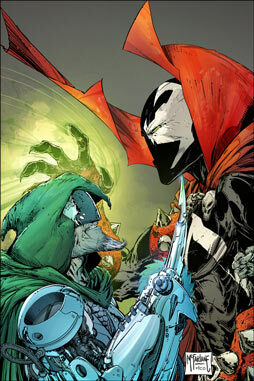 Old enemies will return. 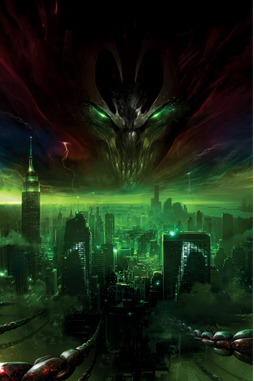 New dangers will emerge. 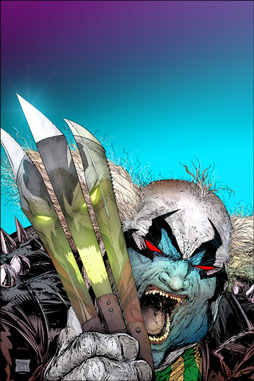 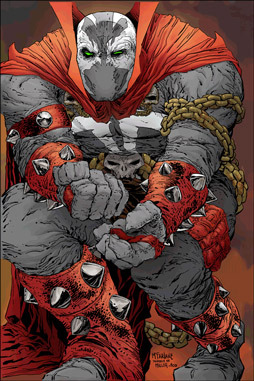 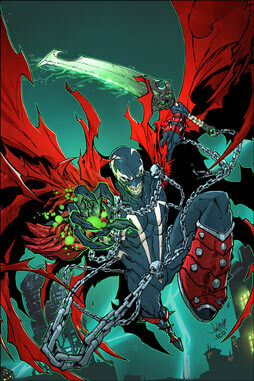 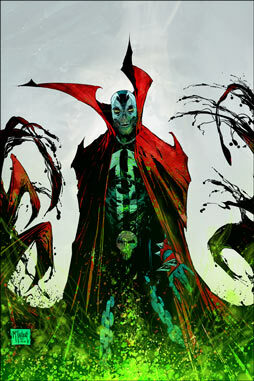 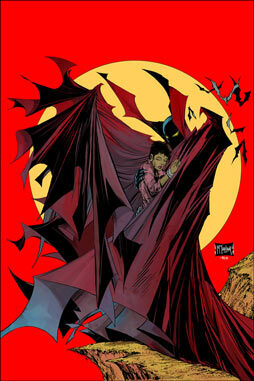 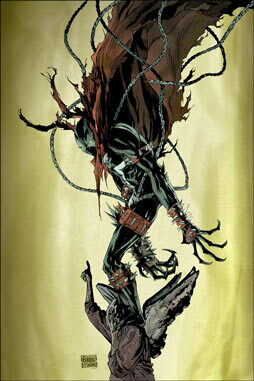 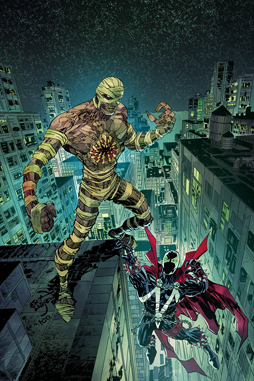 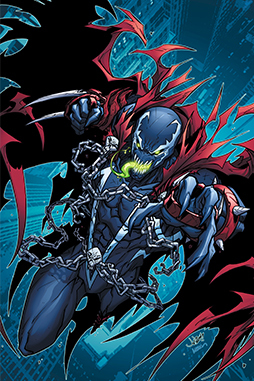 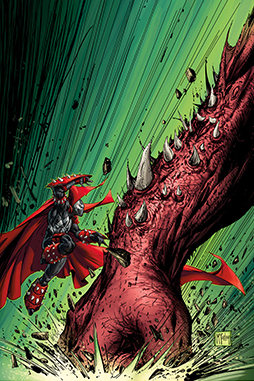 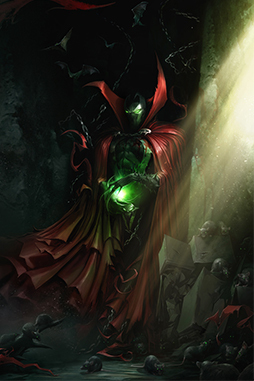 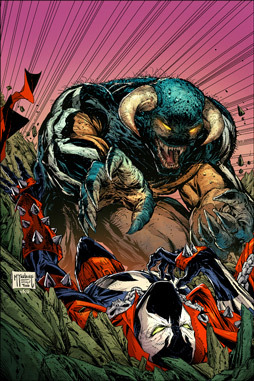 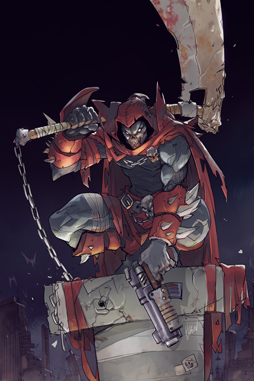 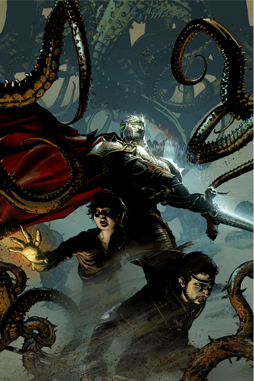 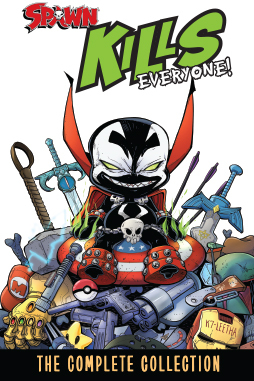 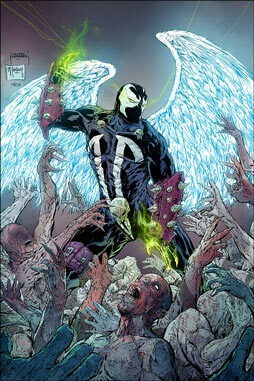 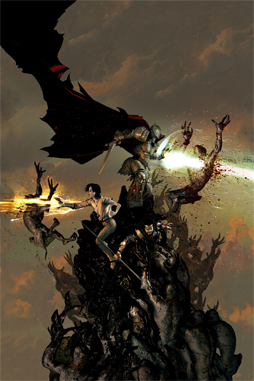 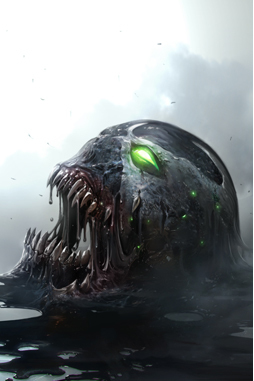 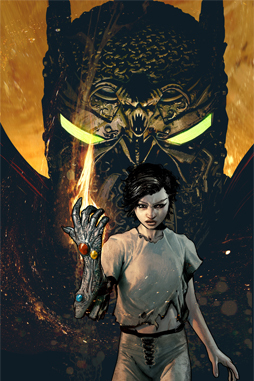 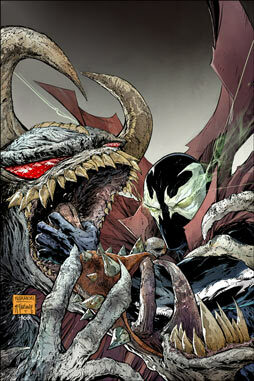 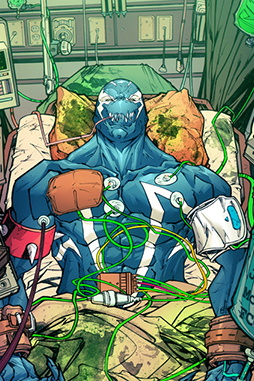 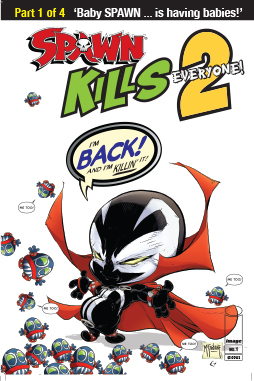 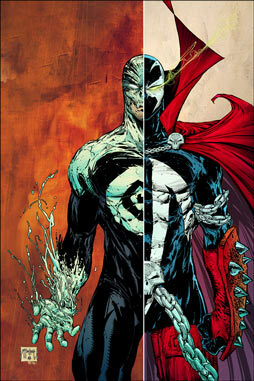 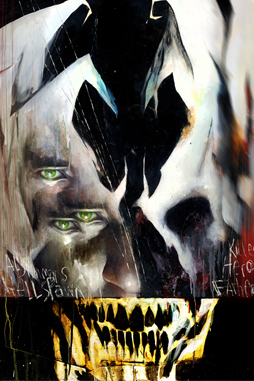 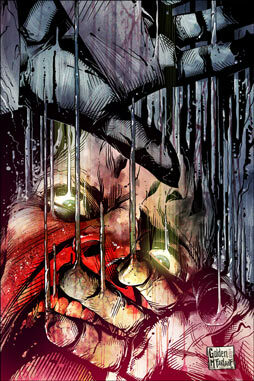 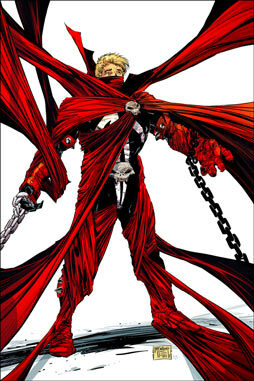 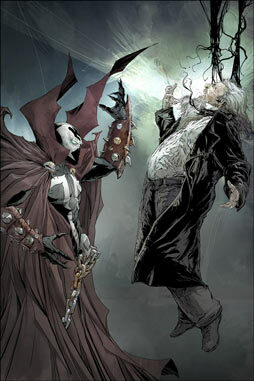 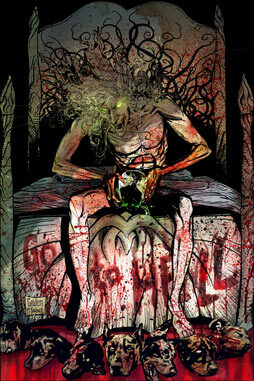 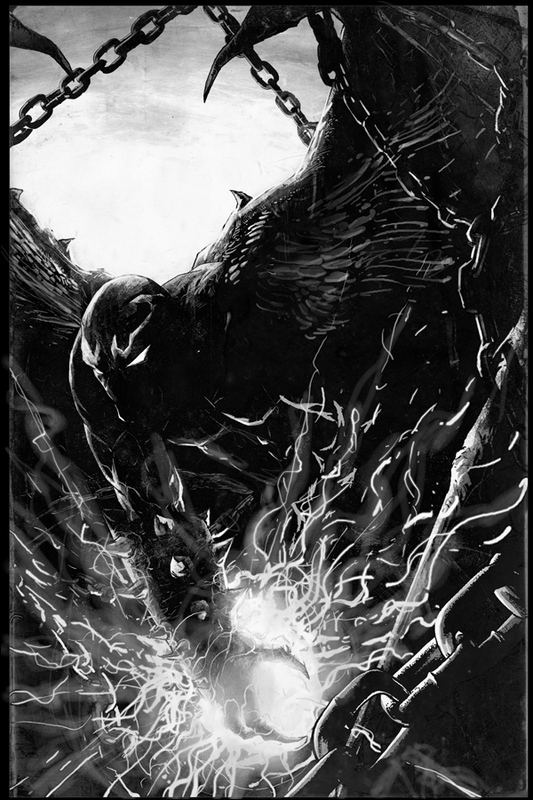 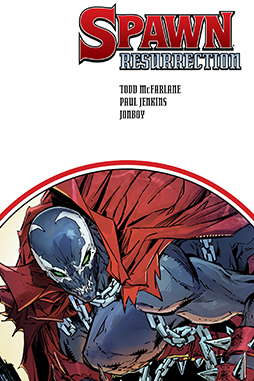 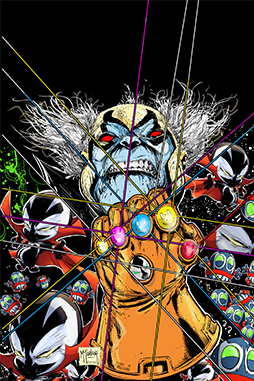 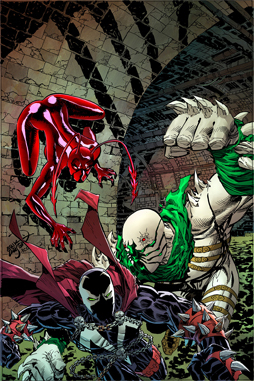 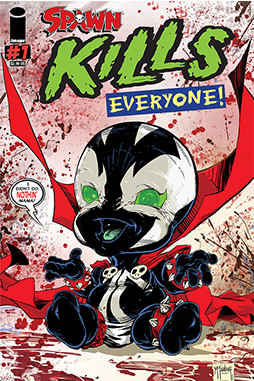 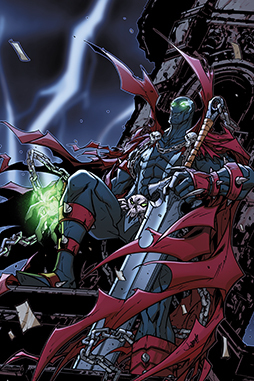 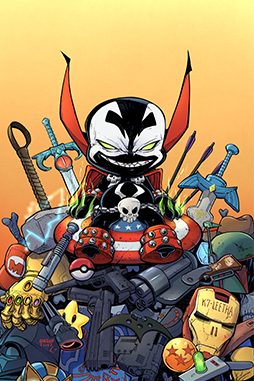 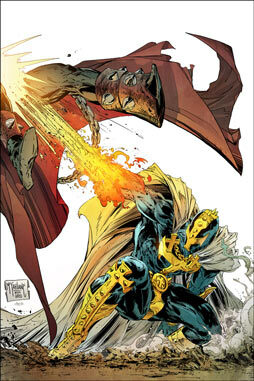 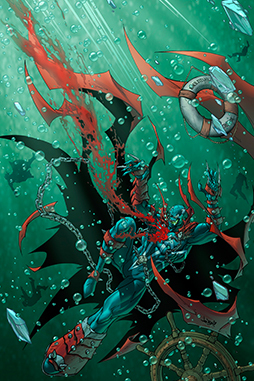 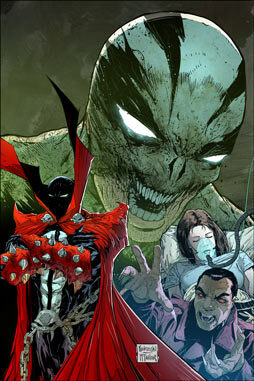 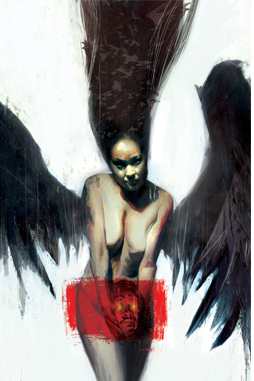 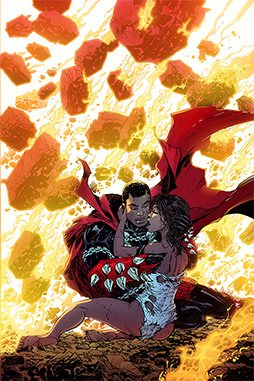 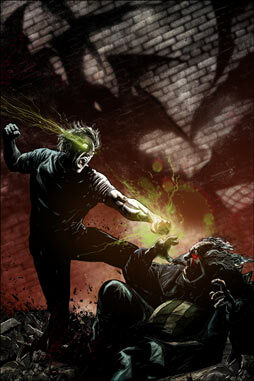 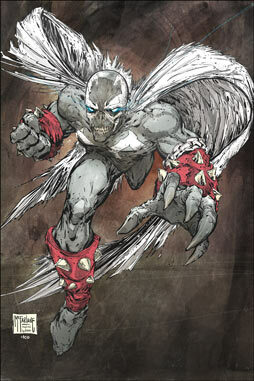 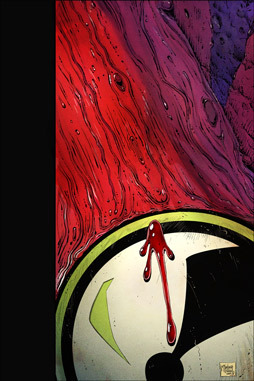 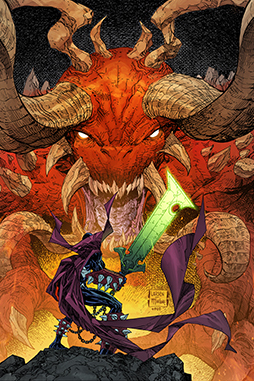 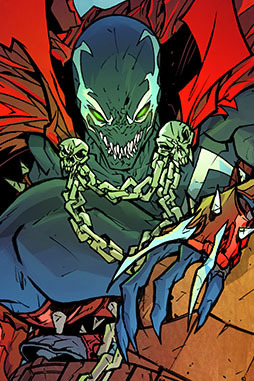 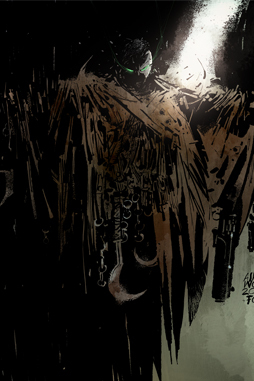 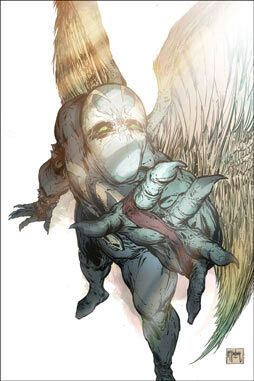 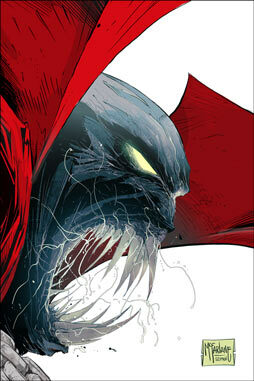 And events woven within the complex fabric of SPAWN’s rich mythology will begin to coalesce. 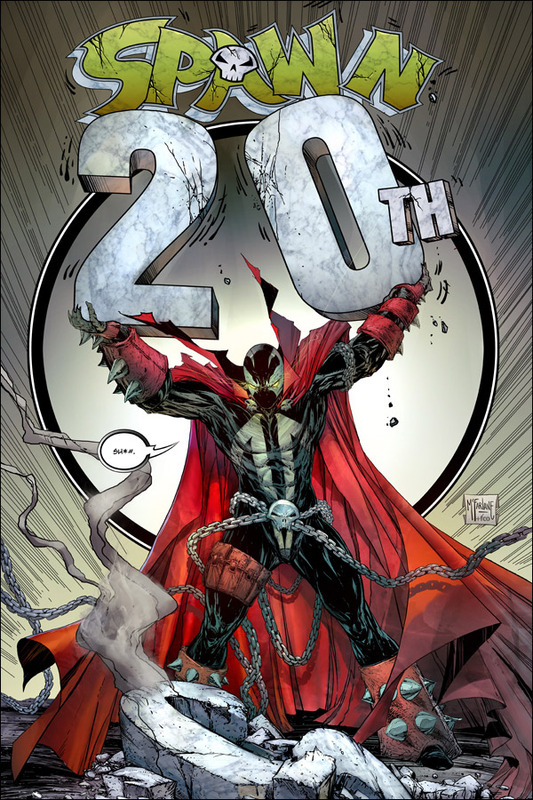 What happens from this point forward has been 20 YEARS IN THE MAKING! 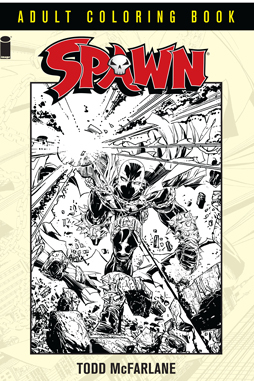 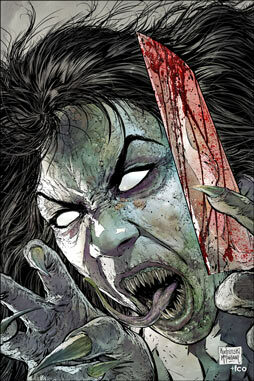 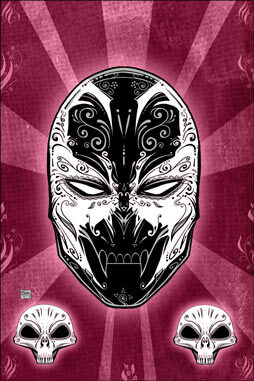 This issue includes three parody covers with black & white variants, along with a 20th Anniversary Collector’s Special edition.